If your family consumes any type of mint or candy that comes in a tin, chances are you have a few empties on hand. Sure, they’re great for carrying a few aspirin along when you’re out and about, and perhaps you never gave them a second look. Well, it’s time. 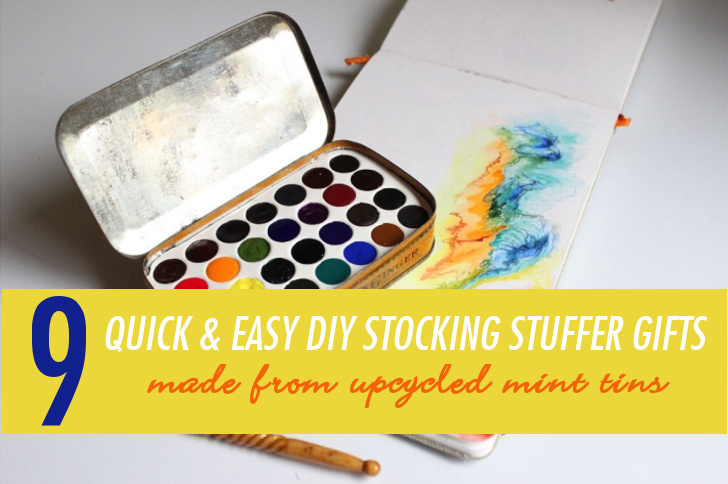 These 9 inspired craft projects take a simple mint tin and show you how to transform it into a whimsical, fun, and very special tiny holiday gift for your loved ones. 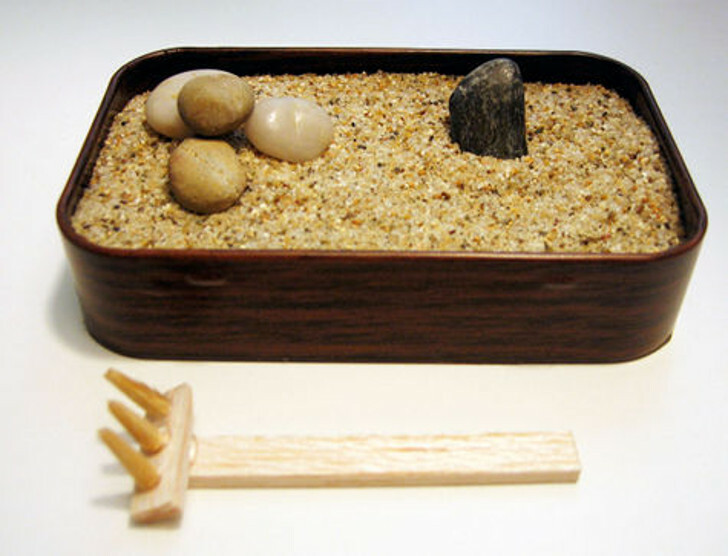 Tiny gifts don’t have to be boring, and most of these crafts are simple, inexpensive, and sure to please. 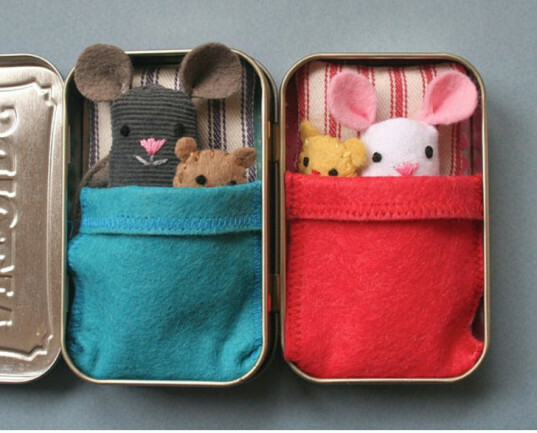 These familiar tins come in a variety of sizes and shapes, and there are endless possibilities of upcycled craft ideas for each one! 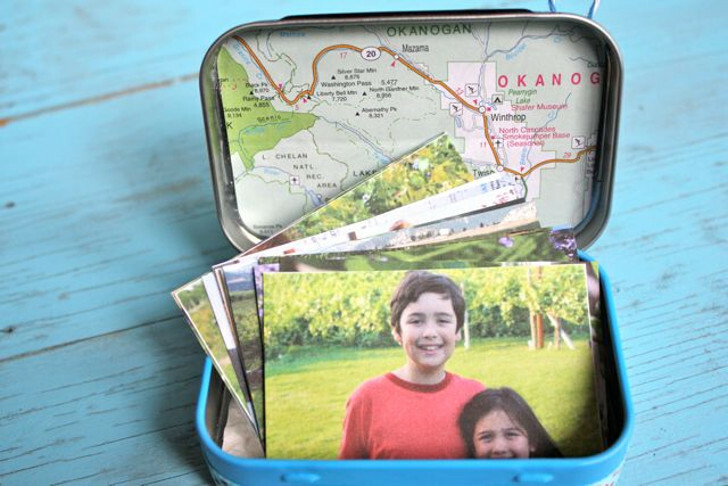 Transform a mint tin into a traveling game of “tin tac toe” by cutting out letters from magazines and affixing to a flexible magnet strip. For the budding zen student in your life, build a tiny rock garden they can carry in their pocket. Whenever they need a little space for contemplation, they’ll be all set. Surely you know a LEGO enthusiast or seven. 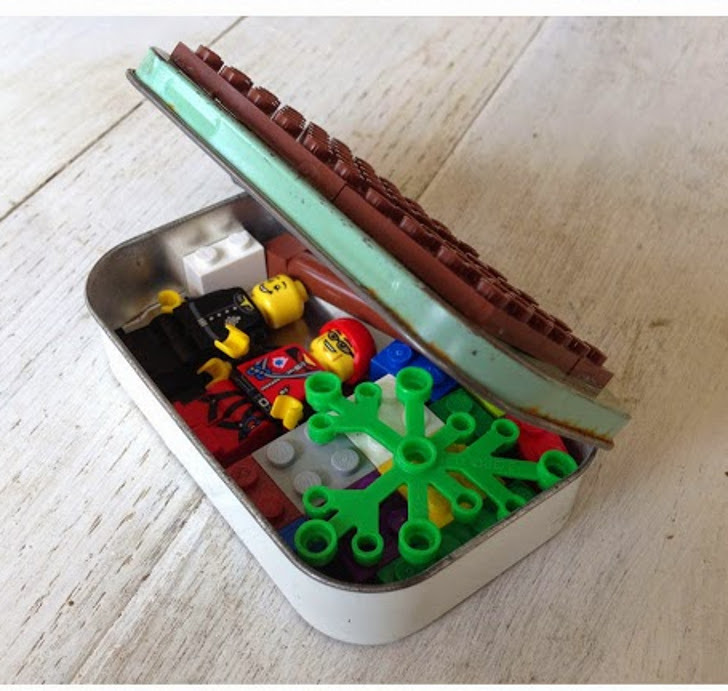 Make a mini traveling LEGO set from an old mint tin. 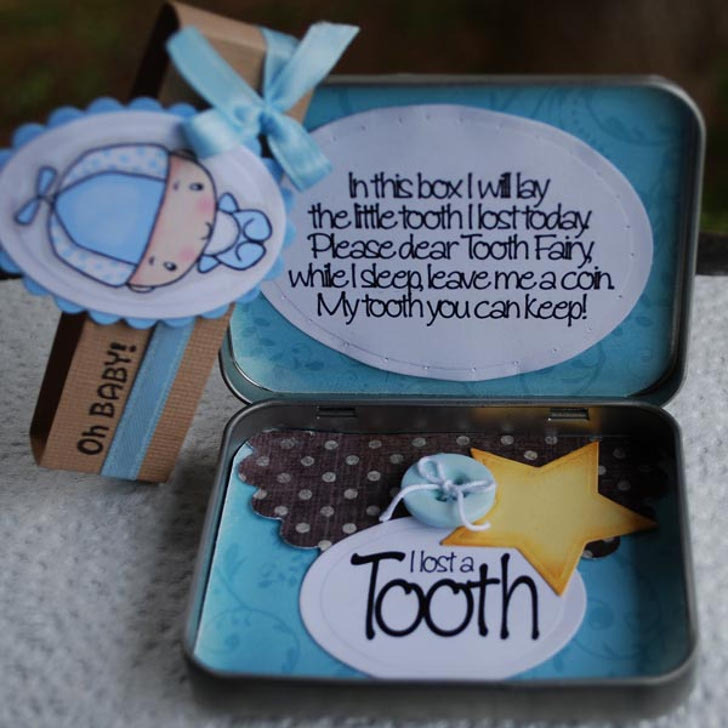 For kiddos hoping for a visit from the Tooth Fairy soon, a customized tooth keeper is a great choice. Consider putting their name on the front so the Tooth Fairy will be sure to know who they are leaving money for! A mini photo album is a good project to remember a trip or event, or to make a family photo album with pictures from the past year. Dolly needs a nutritious lunch, too. 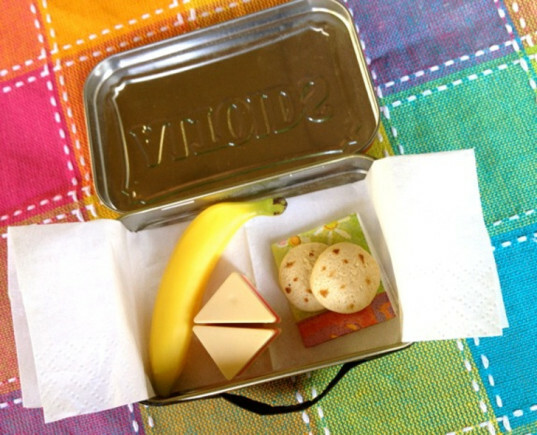 Paint the tin, attach a teeny handle and some miniscule munchies, and the next tea party becomes something much more fun! 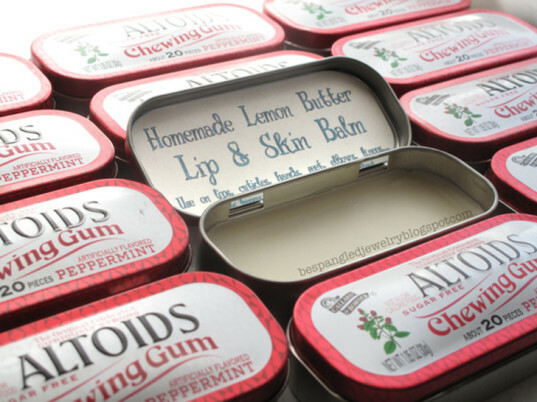 Homemade lip balm is a great gift if you have lots of stockings to stuff, because you can make quite a few tins at one time. This lip balm also works as a hand and cuticle balm, so it’s a great gift for almost anyone you know. If you’re extra crafty, use fabric and felt scraps to create a cozy bed for a new, tiny friend. Is there a budding artist on your list? 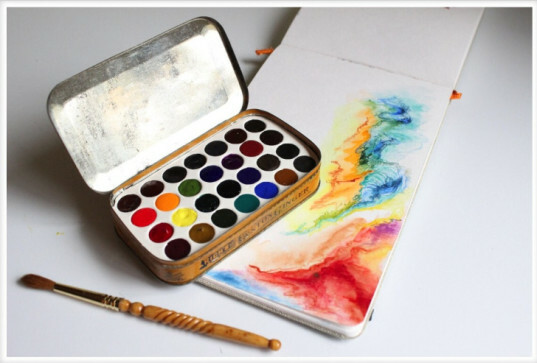 Make a portable watercolor set and pair it with a pocket-sized watercolor notebook.